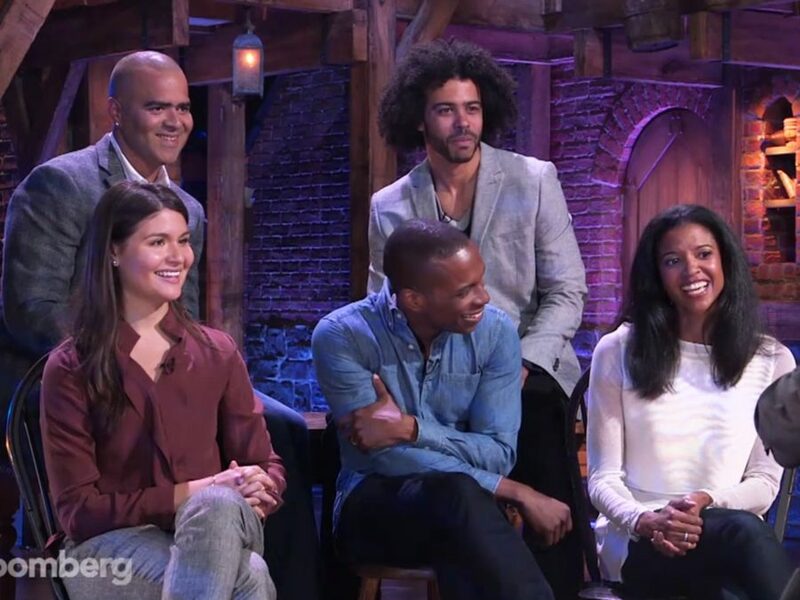 The world continues to want to be in the room theater where it happens and members of the Hamilton cast recently sat down with Charlie Rose to ponder the phenom. What is it about creator and star Lin-Manuel Miranda that makes him a certified genius? "He's a synthesizer because he's made them make sense for us in a way that they've never made sense to us before," said Leslie Odom Jr. about the Tony winner's take on the Founding Fathers. Added Daveed Diggs about the tuner: "it gives value to whoever you are. I think it does that for everybody." Check out the video below; Hamilton, as if you didn't know already, is playing at the Richard Rodgers Theatre.